Part one of this article, published on Tuesday, focused on the origins and justifications of the Russian nationalist opposition. This part, also by Emma Rimpiläinen, looks at how the nationalist agenda could be interpreted, and how it could do more harm than good. As already mentioned earlier this week, the nationalists see the current situation as continuation of nationality policies in the Soviet Union. The Russian Federation inherited from the Soviet Union a system of institutionalized ethnic federalism that, according to the nationalists, unduly overemphasizes the importance of non-Russian minorities in the administrative system. The official ideology of the Soviet Union stressed internationalism and an overarching Soviet national identity instead of separate ethnic identities. In this system, Russian nationalism is inevitably considered chauvinistic and harmful. According to supporters of the argument that Russians are being oppressed, it is the Soviet modus operandi that is stopping Russians from reclaiming their rights and state in Russia today. Dmitriy Galkovskiy calls the situation ”cryptocolonialism” and likes to compare the way the Kremlin treats the country’s majority to apartheid politics in South Africa. Konstantin Krylov targets his words carefully, claiming, for example, that a meeting called ”Stop feeding the Caucasus” was not an anti-Caucasian event, but an anti-Kremlin one. In criticizing the regime’s Soviet mentality rather than specific ethnic minorities, the nationalists seem not to be able to decide whether this is fundamentally a question of class or ethnicity. Of course, the premises of this discourse represent a careful picking of anecdotes that suit the story. The nationalists harangue about unequal ethnic representation but ignore the high rate of economic inequality in Russia. Galkovskiy claims that the ethnic minorities who make up 17% of the population of Russian Federation supposedly control about 90% of the country’s wealth. There is no reliable data about the share of non-Russian ethnicities in institutionalized power positions, but this does not stop the nationalists from claiming that it is high. This difficulty, of proving the nationalists wrong with reliable data, is why the theory of Russians being oppressed could no doubt become very powerful. Accepting the task of collecting and comparing lists of allowed national organizations or figuring out the ethnicity of Duma representatives, for example, is accepting the premise that only people of the same ethnicity can represent each other. Instead of trying to prove the nationalists factually wrong, it is more fruitful to question their premises. One problem in the nationalists’ reasoning is that the organizations of ethnic minorities are local but Russian nationalists have both local and nation-wide organizations, which means they are theoretically better able to lobby the political elites. Compare this situation with women’s representation in Russia: women are well-represented in the local and low-level administration but practically not at all in the higher echelons of power. All in all, it is impossible to claim that women are well-represented in Russian politics. It is difficult to know why exactly the Kremlin harasses Russian nationalist organisations so energetically. One possible explanation is that they form a plausible threat to Putin’s political hegemony and must be suppressed as a result. However, being harrased by Kremlin is not solely the onus of Russian nationalist groups. Various organizations, such as LGBT groups, human right advocates and organizations that receive foreign funding, are persecuted in Russia too. In general, the problem seems to be that civil society in Russia is not free to function without harassment unless it very specifically complies with Kremlin’s party line or is deemed harmless. The solutions to Russia’s democratic deficiencies offered by the nationalists are as problematic as the situation itself. The most obvious issue is their uncritical acceptance of nationality or ethnicity as something natural, and of nations or ethnicities as internally homogenous, composed of people with aligned interests. In the nationalists’ view, the fate of democracy in Russia wholly depends on ethnic Russians reclaiming the state. Since Russians are the majority, they should be the basic constituency of democracy, leaving little room for other groups. Krylov and Galkovskiy explicitly challenge the notions of civic state and citizenship and propose to replace them with equality through nationalism. It is unclear whether the nationalists really want to transform the Russian society into a more democratic and equal one, or simply change the roles of the oppressors and the oppressed within the current system. 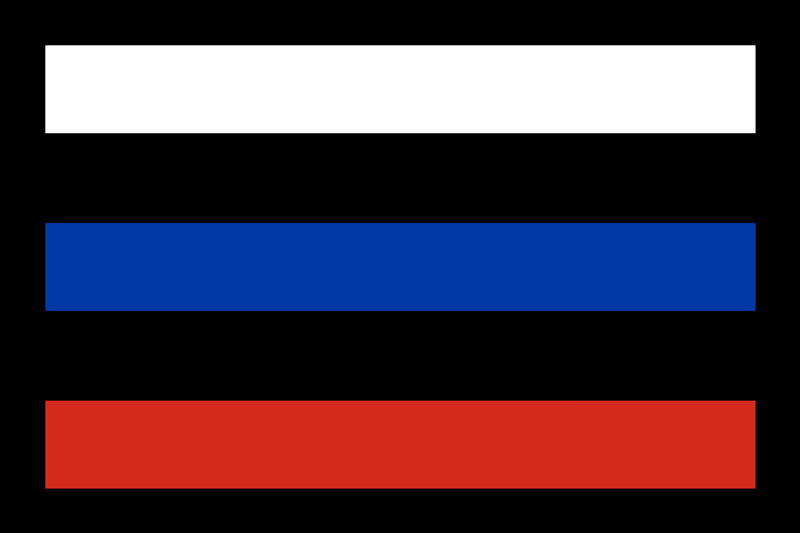 Tags: Nationalism, politics, Russian Federation. Bookmark the permalink.